Recently it’s been announced that in Amazon will be changing their storage fees. In this article, you will know about storage fee changes in 2019 and go over what that means for your Amazon FBA business. 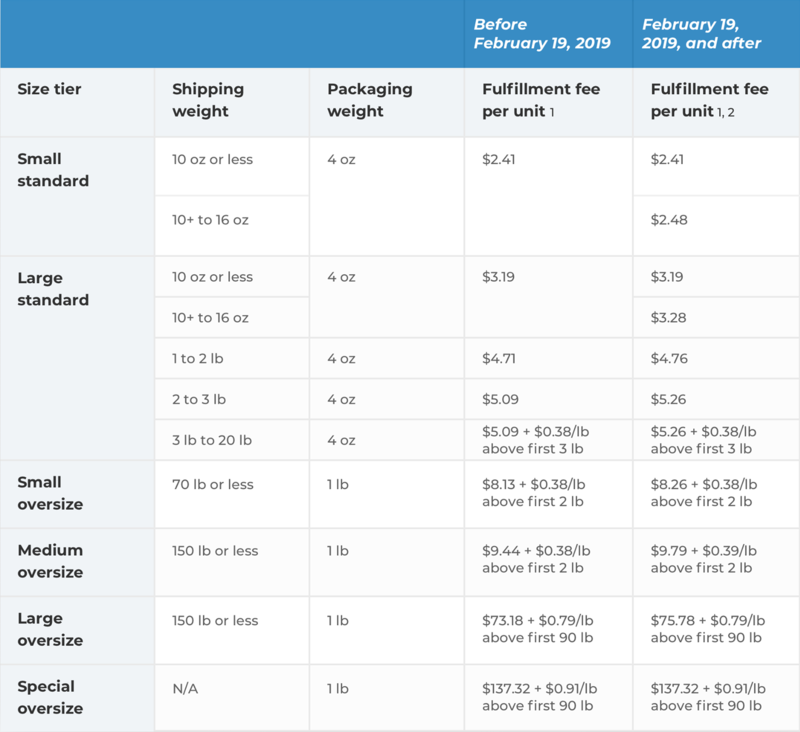 This table shows how Amazon FBA fees change in 2019. For detailed information please read below. Fulfillment fees are what you pay to Amazon for them taking your item, packaging it and sending it to a customer. This also covers all returns, and customer service.✓ For small and standard items with a shipping weight of 10 oz or less, there are no changes, but, for oversized items, fees will be calculated a little differently.✓ The billing weight will change by applying a minimum width and height of 2 inches first. It means that a standard sized item is now considered oversized if the width and the height are over 2 inches. This could mean a slight increase in fees all across the board on oversized items. ✓ Additionally, a new fulfillment fee structure will be made for products deemed “dangerous goods”. This means ones that contain flammable or pressurized aerosol substances and items that contain lithium-ion batteries. That’s pretty standard considering it’s more expensive to store these and any mishandling or improper storage can cause damage in a warehouse. Subscribe & Save program is a service of Amazon. Sellers enroll a product so a customer can choose to have them delivered- as a part of a subscription. Customers who enroll in this subscription receive discounts and free shipping based on how many products from Amazon they get subscribed to. 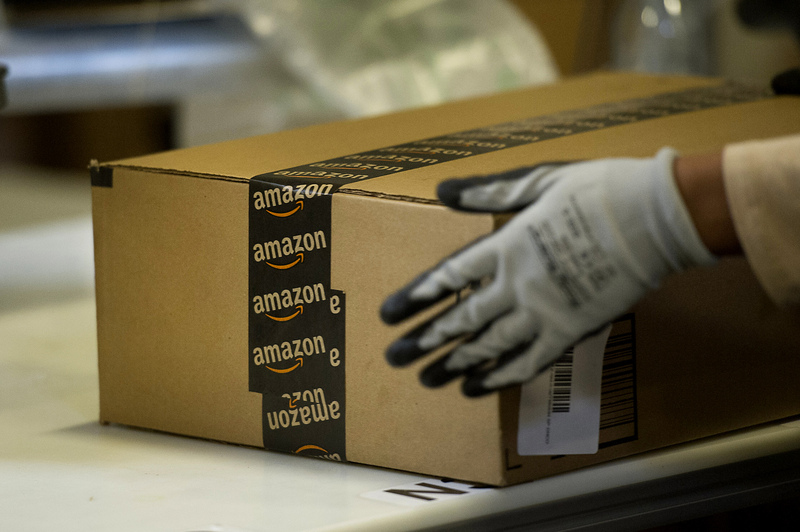 Amazon is simplifying the fees for the Subscribe & Save program starting in September. This allows sellers to fund a flat discount of 5% or 10% to any new items added to the program. Long-term storage fees start to be charged after your inventory has been in an FBA warehouse longer than 6 to 12 months. ✓ You are charged a standard fee for up to 1 year in storage started from January 15th. The charges that apply after your inventory spends 365 days or more in an FBA warehouse gets reduced from $0.5 to $0.15 per unit.In general, this is good news for sellers, especially for sellers that sell in very large quantities. With this change, sellers can relax a little, and try out strategies to increase their sales, or order in larger quantities. Less fees, let’s you explore alittle and not have to worry as much if they don’t work as you’d hoped.But be aware Amazon CAN change the fees back whenever they wish to- so don’t let your excitement take you away!Amazon operates on very slim margins and taking away a part of their revenue doesn’t do them much good unless there is a positive effect on the other end. The best way to ensure this change stays permanent is for Amazon to see an increase in spending of its users and an increase in the user base. Another change for storage fees concerns “dangerous” items. Basically, The storage fees for these items will increase, with the first increased fees being charged in April for the month of March. 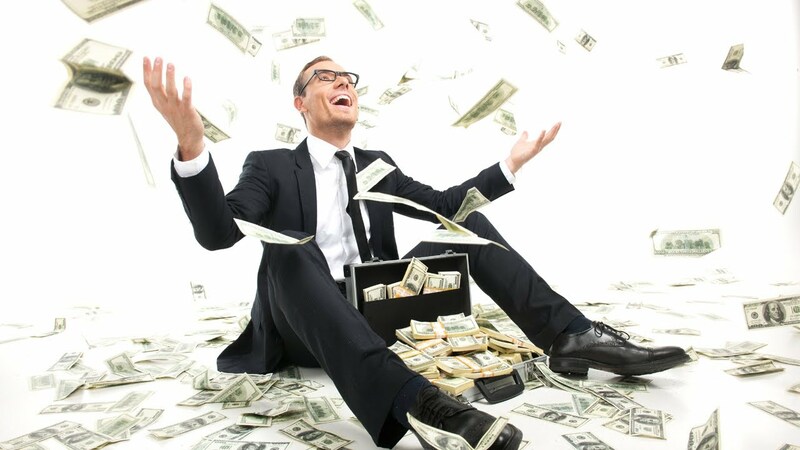 There’s been some more major and unexpected changes in Referral Fees! ✓ The referral fee will be reduced from the standard 15% to 8% for all of Beauty, Health & Personal Care and Baby category for all items priced under $10. ✓ Items price above $10 and Baby apparel- will be subject to the standard fee of 15%. ✓ In Grocery & Gourmet, all the products that are priced $15 or under will have their referral fees reduced from the standard 15% to 8%. ✓ The minimal referral fee will be reduced from $1 to $0.3 across 30 categories. ✓ We will see even more fee reductions in the Jewelry and Watches category from $2 to $0.3. ✓ Any furniture will go from 15% to 10% on any portion of the total sales that exceed $200. This change only excludes mattresses.✓ Jewelry and Watches category will have a similar change implemented. Any total sales that exceed $250 the referral fees for any amount above will be reduced from 20% to 5%. But basically, this means if you sell a piece of jewelry for $1000, you pay a 20% fee on the first $250 and a 5% fee on the remaining $750. In this case, the difference in fees is substantial since you only pay $87.5 as opposed to $200. So, if you are selling expensive jewelry and watches, you’ve hit the jackpot. If you wish to know more about the examples in detail for each one of the types of fee changes so you can exactly calculate what you might expect, check out the Amazon Seller Central. So, what do you think about these new changes? Will you start doing something differently in the way you run your FBA business? Do you believe that we will see a significant change to the way we sell on Amazon in 2019? Please let us know in the comments!